This entry was posted on August 14, 2015 by Texas Safety Supply. Are you engaged in an industry where you are exposed to chemicals on a daily basis? In case you do, then you will need to ensure that the eyewear is compliant with the existing norms in the industry. Recent studies have confirmed that around 1000 eye injuries occur in North American workplaces on a daily basis. Using proper eyewear, as much as 90 percent of these injuries can be avoided. So, how can you be sure that the safety eyeglasses you are using is safe? Within the US, the ANSI(American National Standards Institute) oversees safety practices existing within the workplace and educational settings. 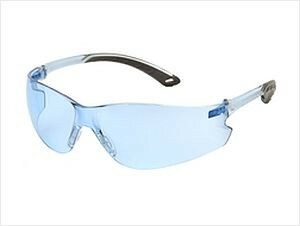 It sets the applicable standards that apply to eye safety. Therefore, you need to look for the exact symbol on your eyeglasses to ensure that you are using an approved product. This will include many types of eye protection devices, including goggles, face shields and welding helmets. The types of work that might expose you to the risk of eye related injuries include chemicals, compressed air, machines that are meant for chipping, drilling, grinding and hammering and UV lights. The major factors that can expose you to these dangers include the lack of eye protection equipments, employer not enforcing use of eye protection or training workers to use it. There are often cases when the eye protection equipment doesn't fit properly. You can also be exposed to the risks of eye injury if someone else wears the equipment while using a machine and you are standing nearby. Therefore, to determine the quality of eye wear that you are going to use, prior testing is essential. For normal impact tests, lenses are to be tested separately. But for a high impact classification to be performed, the frame and lenses need to be tested together as a single unit. Safety lenses come with two classifications based on performance- high impact and basic impact. The drop ball test is normally used to find out the lenses basic impact safety classification. During the test, a one inch diameter ball is dropped on the lens from 50 inch height. To clear the test, the lens should not break, chip or crack. All glass safety lenses need to undergo this test. But for plastic safety lenses, a statistical sample of a large batch of lenses is required to be tested. During high impact testing, a high velocity test is conducted by shooting a quarter-inch diameter steel ball towards the lens at a speed of 150 feet per second. To clear the test, the lens shouldn't crack; break or chip. It should also not be dislodged from the lens holder.